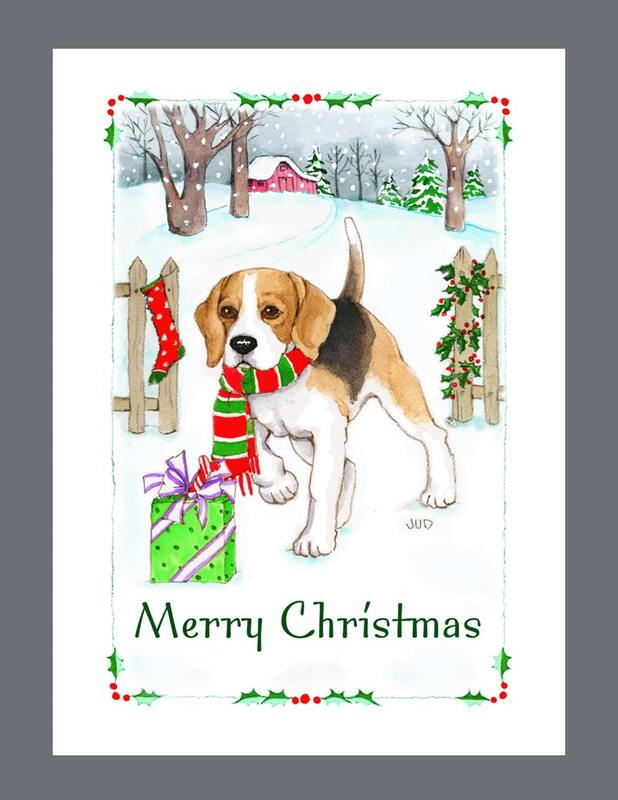 The congenial Beagle is featured on this Christmas Card.Share your Holiday Greetings to family & friends with your favorite canine companion! Inside - Wishing You a Joyful and Happy New Year! This is from my original watercolor illustration, Box of 16 cards 5" x 7"printed on white 110 lb index Card Stock, Green Seal Certified, Recycled Paper, with 16 white envelopes. Printed in Oregon, U.S.A.